For over a year now, the Ready-Go tournaments on WGT have grown in popularity with thousands of WGT players now competing in hundreds of Ready-Go tournaments. 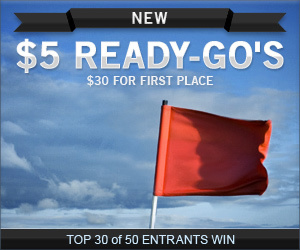 So, last week, we expanded our Ready-Go tournaments from $1 entry fee to higher stakes tournaments, with $5, $10 and $20 entry fees. The new Ready-Go Tournaments work the same way. You pick a Ready-Go, pay 100, 500, 1,000 or 2,000 WGT Credits to enter, and then play the course to post your score. Once 50 people have entered and posted scores, that Ready-Go is over, and the winners are automatically notified, typically in about 24 hours. As always, you can use your WGT Credits to enter match play challenges and paid tournaments, in our Pro Shop to upgrade your virtual golf equipment and get real-world prizes, or to play more Ready-Go's. We'll be watching the tournaments closely and adjusting the mix of courses, holes and entry fees for November. Enjoy! 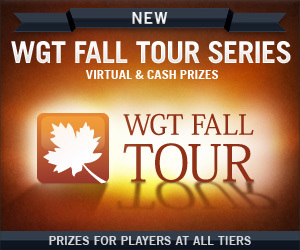 The new WGT Fall Tour Series features free monthly tournaments from Oct thru Dec with both virtual equipment and cash prizes, culminating in a final Tour Championship with a $1,000 grand prize. The low scores in each Monthly Qualifier will qualify to play in the Monthly Championship with a chance to win cash prizes, and every player has a chance to win with a random drawing of one player at each Tier (Pro, Tour Pro, Master, Tour Master, Legend) to get a top WGT virtual driver, the TaylorMade R11 Driver, normally not unlocked until Level 88. Note, the Oct Qualifier starts with 18 holes on Kiawah Island, with the Top 100 playing in the Oct Championship featuring two 18-hole rounds on Congressional and Bethpage Black. 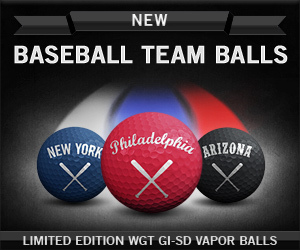 WGT has just released special-edition virtual golf balls to celebrate the baseball playoffs. These popular WGT GI-SD vapor balls give you extra distance and control on your WGT shots. ...and as a small condolence, we also included balls for Atlanta and Boston. In October, the day after each team wins their divisional series, WGT will be running a special promotion, so fans can stock-up on free balls for their favorite teams.